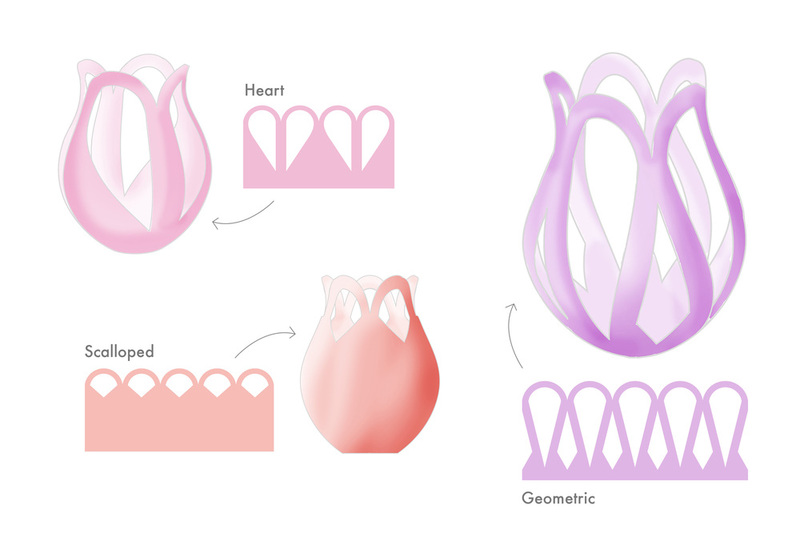 Concept and design for Brit+Co's annual Valentine's 3D Printed Rose campaign, 2015. The concept was a twist on the traditional dozen roses, showing off the capabilities of 3D printing in a fun design to match B+C's brand. Featured on Good Morning America. Initial concepts for B+C's 3D Printed Rose campaign, 2015. Concept, design and tutorial for 3D printing cupcake toppers at home for Valentine's Day. Concept, design and tutorial for gridded necklaces that can be 3D printed at home and embellished with cross stitch.